We offer postnatal and pregnancy osteopathy services at the Light Centre Belgravia in Westminster SW1. 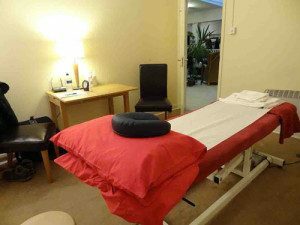 Our osteopathy room is located near Victoria station in central London. We also offer postnatal and pregnancy osteopathy at home in Belgravia, Westminster and anywhere in London. Our osteopath can treat you at home so you don’t have to travel with your newborn, or if you are pregnant and in pain or discomfort. Saturday home visit sessions are also available. Our London osteopath is fully qualified with postgraduate studies in perinatal osteopathy. She has years of experience treating new mothers and pregnant women both in France and the UK. Her treatments are very effective in relieving pain during pregnancy as well as for new mothers’ conditions, such as pain in the wrist and hand when lifting the baby, back pain, pelvic pain or residual pain where an epidural was administered. She also teaches classes in breastfeeding and baby carrying. Apart from treating pregnant women and new mothers, she also offers baby osteopathy sessions, treating conditions such as baby reflux, constipation and digestive disorders, orthopaedic and neurological disorders. Our London osteopath speaks fluent English and French. Our osteopath in Belgravia is recognised by all major health insurances and our practice is Axa PPP recognised.